Dr. Duvall is a medical practitioner who specializes in 3-D swing biomechanics, strength and conditioning, manual therapy, rehabilitation, and therapeutic exercises as they relate to golf and other sports. Over the past 14 years, he has helped over 5,000 golfers, both professional and amateur, reach their peak performance through physical conditioning. Dr. Duvall founded and directs the Discovery Performance Center (DPC) for the Discovery Land Company. He is based at The Madison Club in La Quinta, CA and oversees the operations for the DPC at The Hideaway in La Quinta, El Dorado Beach & Golf Club in Los Cabos, Gozzer Ranch Golf & Lake Club in Coeur d’Alene, ID and the Yellowstone Club, Big Sky, MT. His expertise is focused on the comprehensive evaluation of the biomechanical relationships of the human body and developing training and rehabilitative programs for athletes of all skill levels. Dr. Duvall also specializes in developing custom foot orthotics for various types of athletes: Olympic, professional, collegiate and amateur. Dr. Duvall is currently a senior member of the Medical & Health Advisory Board for the TPI located in Oceanside, California. He has treated and evaluated numerous PGA and LPGA Tour players; Anthony Kim, Mark O’Meara, Scott McCarron, Tommy Armour III, Ben Crane, Fred Couples, Padraig Harrington, Brad Faxon, Jason Bohn, and Jane Park (LPGA). Prior to his arrival to The Madison Club, Dr. Duvall co-founded and served as the Director of Fitness for ClubGolf Performance Center, the nation’s premier state of the art Golf Specific Training Center located in Gaithersburg, Maryland. 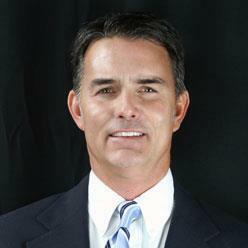 Dr. Duvall has been featured on The Golf Fitness Academy as seen on the Golf Channel. He is an invited speaker for the Annual World Golf Fitness Summit presented by TPI. He lectures nationwide through the TPI and helps golf professionals, medical and fitness professionals become certified as Golf Fitness Instructors. Dr. Duvall received both a Master of Physical Therapy degree in 1998 and his Doctorate of Physical Therapy degree from Shenandoah University in December 2004. Prior to attending Shenandoah University, he was a graduate assistant for the Sports Medicine staff at Virginia Tech, and graduated from there with a B.S. in Biology in 1991, and completed two years of graduate work in Exercise Physiology. He owned and operated physical therapy clinics and sports performance centers while serving as the lead physical therapist for the Washington Redskins.